GUHDO is well known for providing high quality tooling for CNC routers, panel saws, edge banders and other woodworking machines. 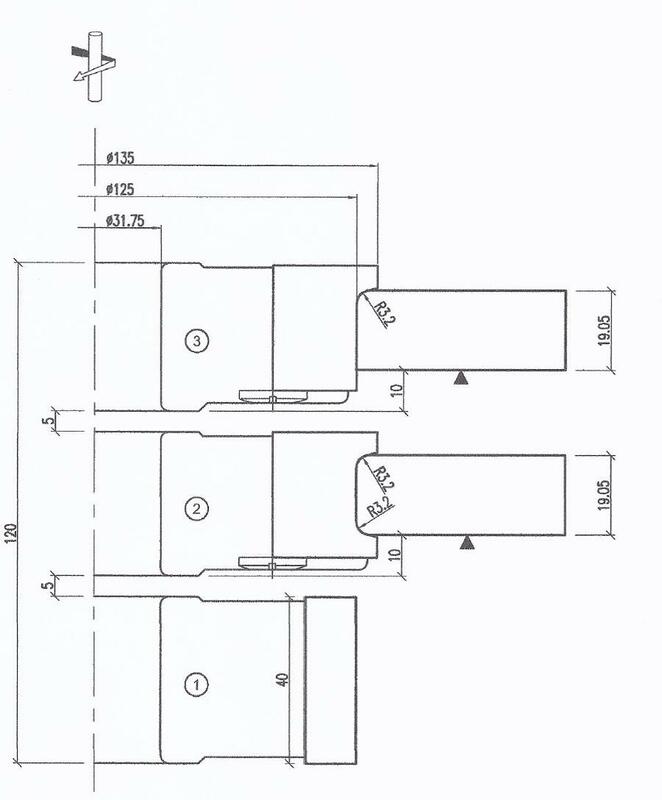 The company is also well versed in producing stacked tooling systems (insert style) for the line of wood-working machines offered by Unique Machine & Tool Co. Whether your machine has a single, double spindle or has an arbor to accommodate stacked tooling, consider allowing GUHDO to partner with on your next tooling requirements . We offers highly accurate, balanced insert tooling for cope, stick, raised panel and outside door edge profiles. Stacked tooling sets are supplied per customer specifications, including sets with a zero diameter (as shown below) allowing for incredibly quick profile changes. The tool design process provides punctual quotations, detailed drawings for approval, and the confidence that your tooling will arrive in a timely manner, ready to make your company profitable! For more information you can contact us with a brief description and attached drawings or give us a call at 800-544-8436. In the summer of 1982, when the International Woodworking Fair (IWF) made its debut show in Atlanta, GA, the first polycrystalline diamond tools for wood/composite material were introduced in the U.S. The promise they brought ….to run up to one million feet of material without a single tool change, seemed inconceivable and no one could fathom that any cutting tool could continuously run the equivalent of 7+ marathons (over 180 miles) cutting abrasive particleboard without wearing out on the first 10 miles! High-tech panel production equipment coupled with competition among cutting tool manufacturers has earned a handsome dividend for panel processors , allowing manufacturing costs to stabilize. As diamond tooling evolves, developments include extreme axial shear angle cutters that achieve a satin smooth finish resulting from a cutting action that is closer to shaving or peeling, rather than cutting. 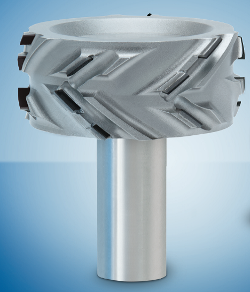 While these cutters are ideal for peripheral cuts, they aren’t the solution for parting cuts due to the larger cutting diameter necessitated by the extreme axial shear and resulting yield inefficiencies. Hogging/panel sizing cutters continue to advance with interesting designs that incorporate dust flow and chip extraction features along with lighter overall tool weight (to reduce injury risk during tool changes) and tooth geometries that are matched to specific application for best finish. The continuing advancement of newer composite panel materials, whether lightweight honeycomb panels with aluminum skin, wood composite panels with highly abrasive laminate surface, fire rated MDF, carbon fiber reinforced plastics, phenolics or other specialty materials, each seem to present their own set of unique challenges to efficiently cut, profile and optimize tool life while obtaining a quality surface finish. These challenges keep design and implementation of new cutting tool engineering ideas at the forefront and this trend will continue. Diamond-tipped saw blades deliver great savings during the many months they run without garnering even a moment of attention until they become dull! 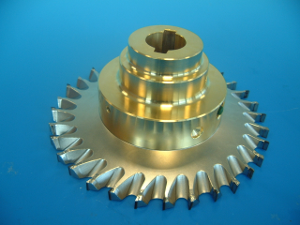 PCD saw blades do best and perform the longest in homogeneous materials, such as solid surface material, wallboard, hardboard, cement fiber board, MDF and similar materials. Diamond router bits have progressed as well. Chip load is the most important factor in seeing positive performance, so, the once popular disposable diamond router bit, that has definite feed speed limitations, has taken back seat to newer designs. It is important to review expectations for output, finish and performance when determining the tool specifications. The choice of single, two or three flute, straight or shear, segmented, staggered, insert or solid PCD tip, diamond grade (coarse or fine), polished or not should all play a part in the decision for best results. Drill bits , both through-hole (V-Point) and dowel style, are another relative newcomer in the array of diamond tools offered. While they do not run the marathons that their hogger, saw blade and routing counterparts are known for, they still offer a stately price/performance ratio that should not be underestimated or overlooked. To summarize, panel processors not using diamond tooling in their production, are overlooking a tremendous opportunity to improve their bottom line! Letting the initial cost of diamond tooling intimidate…is ignoring the fact that in most cases, PCD provides the lowest cost per linear foot machined! Written by Karin Deutschler, President of GUHDO USA Inc. Karin has been selling diamond tooling since its introduction in the U.S. in 1982. GUHDO now offer select precision tooling online or you can also check out our full catalog here!